Registration for our college credit watersports classes is happening now and whether you are a student or not, there is no better way to learn a new watersport than in these semester-long classes. Both SDSU and USD students are able to earn college credit for completion of these classes, however, members of the public and students from other schools are encouraged to take advantage of the great value of the extended classes. The college credit classes meet once a week for the 15 week semester. 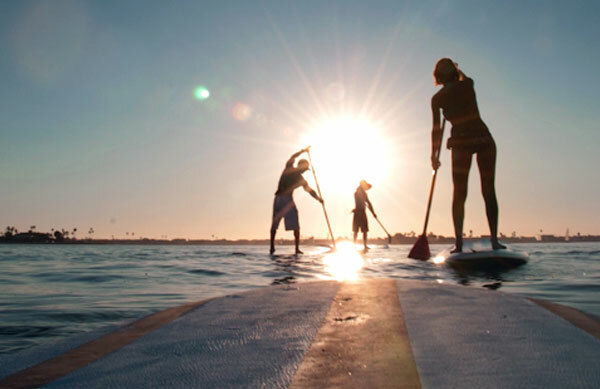 For those who are concerned about finding time to fit a class in during the busy week you can take advantage of one of the classes offered on Saturdays which include surfing, wakeboarding, and stand up paddling. If this is the type of challenge you are looking for, the stand up paddling class is the perfect class for you, but register early as we expect sections to fill quickly.